That was the question that was asked at the end of my Gluten-Free tips and tricks class this past week. It was a two-hour course that went over three main points, what to eliminate, how to transition to a gluten-free lifestyle and what gluten-free products to substitute into your pantry. It was a lot of information in a very small period of time. Especially for someone who has been medically forced to go gluten-free. My initial response recommended that she go “full tilt” and replace everything in her pantry with gluten-free products. This response was made before she had time to digest all the information she just received during my class about product names and where to buy them. I had completely forgotten how overwhelming it was 4 1/2 years ago when I went gluten-free. I left the class and had an immediate flashback of me standing in my food pantry searching for something familiar to eat. Nibbling on dry rice cakes, horking down potato chips and being starved when I left the house unprepared for the gluten-full world outside my house. I forgot how long it took me to get gluten out of my diet because I didn’t know what I could eat, or what I wanted to eat. Being unprepared led me to let my guard down and open myself up to ingesting gluten and feeling miserable. Now that I’ve had time to look back and see the world through my students eyes, I’m better prepared to answer that question “Where do I start?”. Here is a plan on what to do…. 1. Write down 3 items you like to eat for each meal of the day (Breakfast, lunch & dinner)..
2. Look at each item on your meal plan/recipe and decide what items contain gluten or might contain gluten. Example: For lunch, check to see if your lunch meat and chicken salad are g.f.
3. 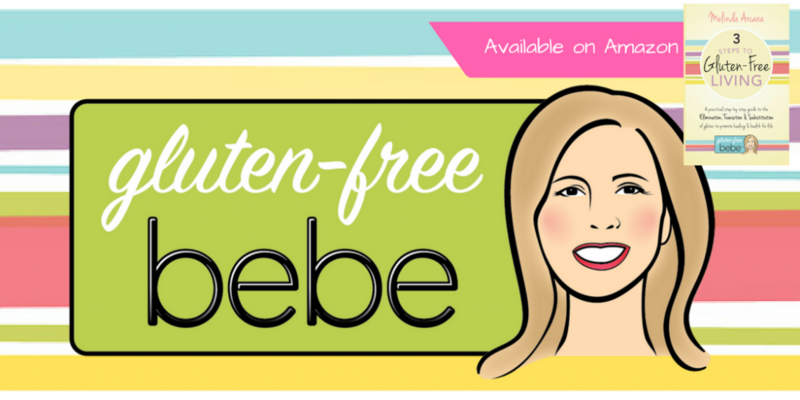 Create a grocery list to include gluten-free items that you need to complete those menu items. This will help to prevent buying products that you might not need in the future. Gluten-free pre-packaged foods are very expensive, so try to only purchase what you need. This is a good time to try to use as many “clean” ingredients that you might already have in your home. Instead of purchasing a marinade for your steak, make your own using balsamic vinegar, garlic and rosemary(see recipe below). It’s a good idea to have ingredients on hand to make 4 or 5 quick recipes that you know your family will enjoy. So, to answer my student’s question of where to begin, start by planning 3 meals and writing a good shopping list of what you need to complete only those meals. Also, keep some snacks on hand to satiate your hunger quickly. Remember to be prepared with healthy snacks and items to take with you when you leave your home, just in case there is no g.f. options available. Combine all ingredients in a shallow dish or resealable bag. Pierce meat with a fork and add meat to bag. Refrigerate in marinade for up to 24 hours.